Focal niches appear responsible for supporting fibrogenesis in kidney fibrosis, but the molecular composition of these niches and mechanisms by which fibrotic lesions are initiated therein are not fully characterized. Here, Fu et al. show that fibrotic renal injury in mice induces expression of the matricellular glycoprotein tenascin-C (TNC). In vitro, TNC promotes fibroblast proliferation through activation of the integrin/focal adhesion kinase/mitogen-activated protein kinase cascade. In vivo, knockdown of TNC prevents renal fibroblast proliferation and fibrosis. 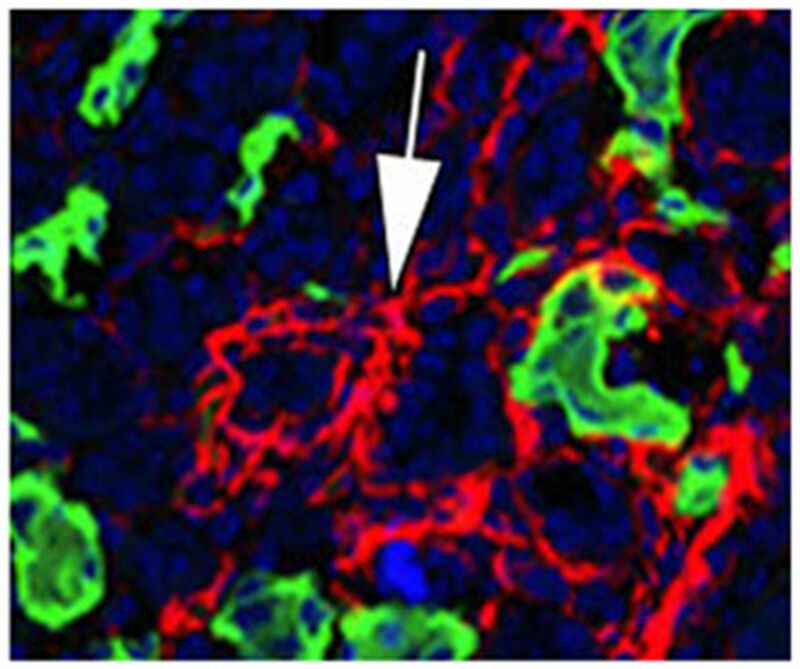 These findings may inform the design of therapeutic strategies to attenuate fibrosis in CKD. See Fu et al., pages 785–801. What functions do the Hippo serine/threonine kinases Lats1 and Lats2 have in nephron progenitor cells (NPCs)? McNeill et al. conducted lineage-tracing experiments in Lats1/2-deficient mice to address this question. In this issue, the authors provide evidence that Lats1/2 control the activity of the transcriptional coactivators Yap and Taz, thereby supporting nephron formation by facilitating NPC self-renewal and mesenchymal-to-endothelial transition. Moreover, Lats1/2 appear to prevent the conversion of NPCs to myofibroblasts. These findings critically advance our understanding of NPC self-renewal and differentiation. See McNeill et al., pages 852–861. Studies examining the role of CD73-mediated adenosine production in AKI have produced conflicting results. In studies of mice with global or proximal tubule-specific genetic deletion of CD73, Sung et al. 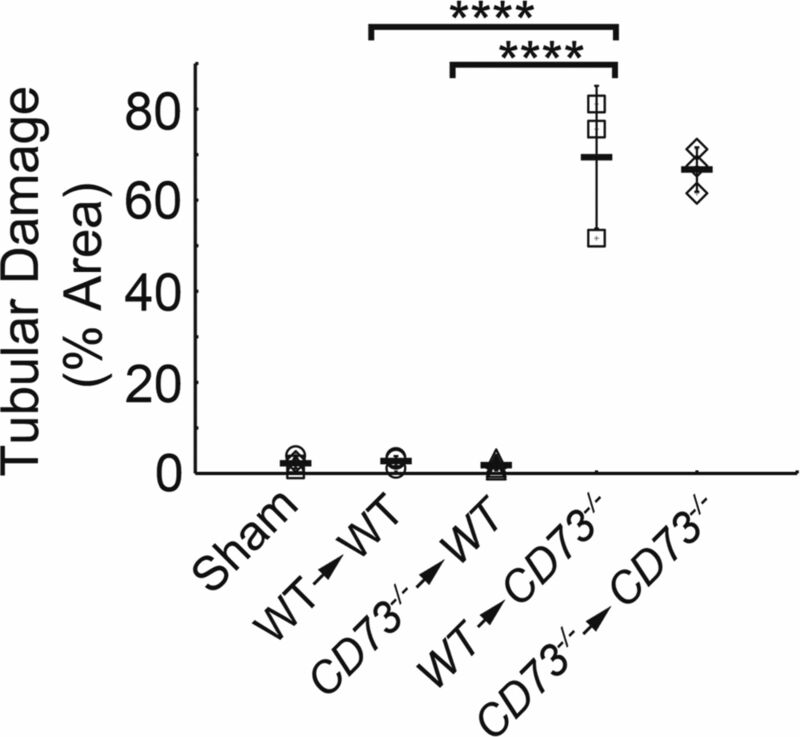 obtained results indicating that adenosine produced by CD73 in the proximal tubule compartment protects against ischemia-reperfusion injury by inhibiting the proinflammatory effector function of adenosine 2a receptor-expressing neutrophils. The potential therapeutic implications of this information should be investigated. See Sung et al., pages 888–902. Hyperuricemia associates with endothelial dysfunction in patients with CKD, and uric acid may contribute to vascular disease through endothelial dysfunction and inflammation. Jalal et al. conducted a randomized placebo-controlled study in 80 adults with stage 3 CKD and asymptomatic hyperuricemia to determine whether lowering serum uric acid levels with allopurinol improves vascular endothelial function. Allopurinol safely lowered serum uric acid levels, but assessment of brachial artery flow-mediated dilation revealed no difference in vascular endothelial function. Moreover, allopurinol did not affect BP or markers of inflammation and oxidative stress. Potential factors underlying the lack of benefit with allopurinol in this cohort warrant investigation. See Jalal et al., pages 943–952. Although available treatment options decrease the risk of ESRD in patients with diabetic nephropathy (DN), further improvement is needed. In this issue, Voelker et al. report findings from their placebo-controlled, dose-ranging, phase 2 clinical trial in 417 patients with moderate to advanced DN, undertaken to determine whether adding 12 months of treatment with a humanized TGF-β1-neutralizing monoclonal antibody (TGF-β1 mAb) to standard of care slows DN progression. Although treatment with TGF-β1 mAb appeared to be tolerated by patients, analyses failed to demonstrate a renal benefit with TGF-β1 mAb at any dose. The reasons for the differential outcomes in these patients and preclinical models remain unclear. See Voelker et al., pages 953–962. The >50 common genetic risk variants associated with kidney function explain only a small proportion of the variation in eGFR. To completely interrogate protein-coding regions and determine the effects of rare variants, Li et al. conducted a two-stage meta-analysis of the association between serum creatinine-based eGFR and variants genotyped on the Illumina exome array in participants of European ancestry from the CKDGen Consortium. Their analyses identified and validated seven novel associated loci, of which most are common single variants. Gene-based testing revealed one additional novel locus. 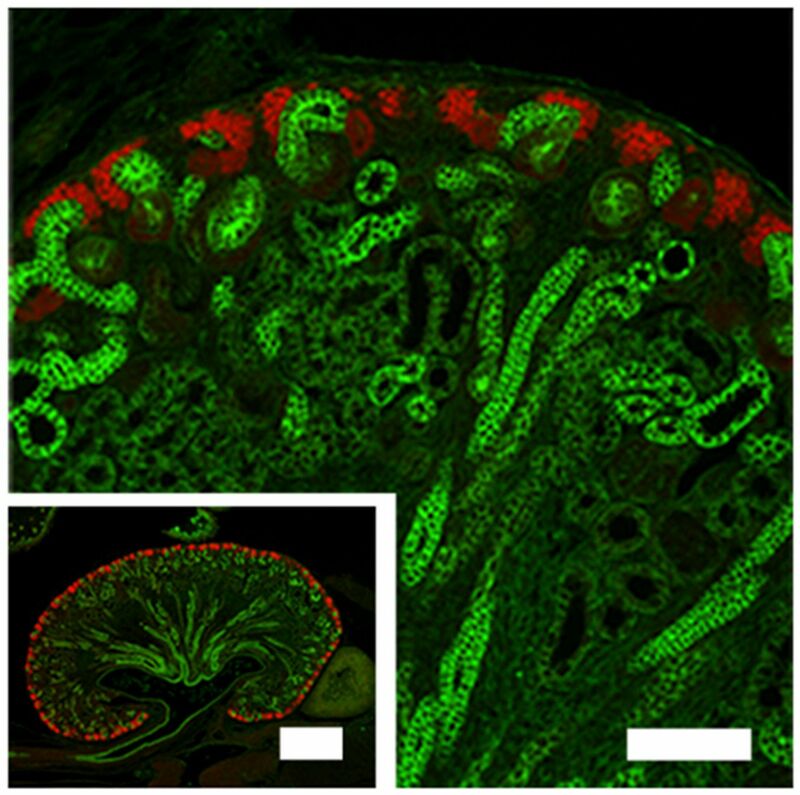 Functional studies in zebrafish embryos support a role for two of these genes, ACP1 and SOS2, in kidney development and function. Additional whole–exome or –genome sequencing may fully assess the effects of rare variants on kidney function. See Li et al., pages 981–994.